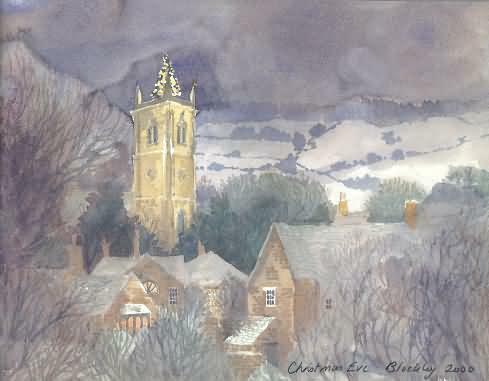 Blockley bears some resemblance to the villages of the Stroud valley but the stone much more golden in colour. During the eighteenth century when the wool industry was in decline Blockley turned to silk production. By 1884 six silk mills powered by the fast-flowing Blockley brook provided work for about 600 people preparing silk for ribbon-making factories in Coventry. This small centre of industry began to decline after 1860 when the levy on imported silk was imposed. 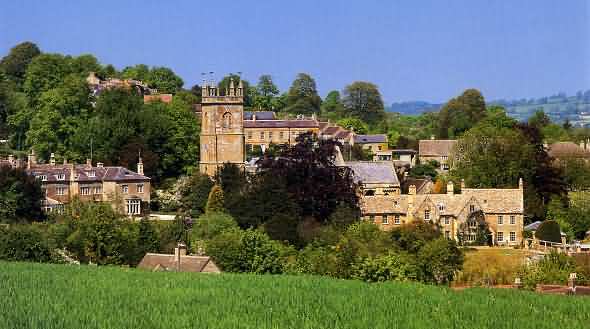 The village of Blockley is a unique collection of buildings reflecting its past glory of mills and silk production and is quite different in character to other north Cotswolds villages. 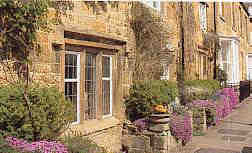 Blockley is now a very peaceful charming village with its mill stream winding its way through the bottom of the valley. With many very enjoyable walks leading from the village and surrounded by beautiful countryside, Blockley has much to offer the holidaymaker. Its attractive village green overlooks the popular Bowling Green and beautiful Norman Church and is a pleasant place to enjoy a picnic on sunny days. See old photographs of Blockley - Page 1, Page 2. The Motorbike & Sidecar manufacturer Watsonian Squire provided seven custom-built three-wheelers for the filming of Harry Potter and the Deathly Hallows Part One, released on 19 November 2010. Harry is seen flying through the air on the pale blue machine before crashing into a lake in the final scenes. The company Watsonian Squire, based in Blockley in the Cotswolds, built the £8,000 machines from Royal Enfield motorcycles with a custom-built sidecar.The manufacturer provided seven custom-built three-wheelers for the filming of Harry Potter and the Deathly Hallows Part One. Watsonian Squire built the £8,000 machines from Royal Enfield motorcycles with a custom-built sidecar. Watsonian Squire Ltd, Registered in England & Wales (Reg No:2319399) Head Office: 70 Northwick Business Centre, Blockley GL56 9RF Tel:+44(0)1386 700907.